That marvellous combination of mountain living coupled with easy access to the ancient city of Lijiang is hard to beat, especially when it’s packaged so luxuriously. 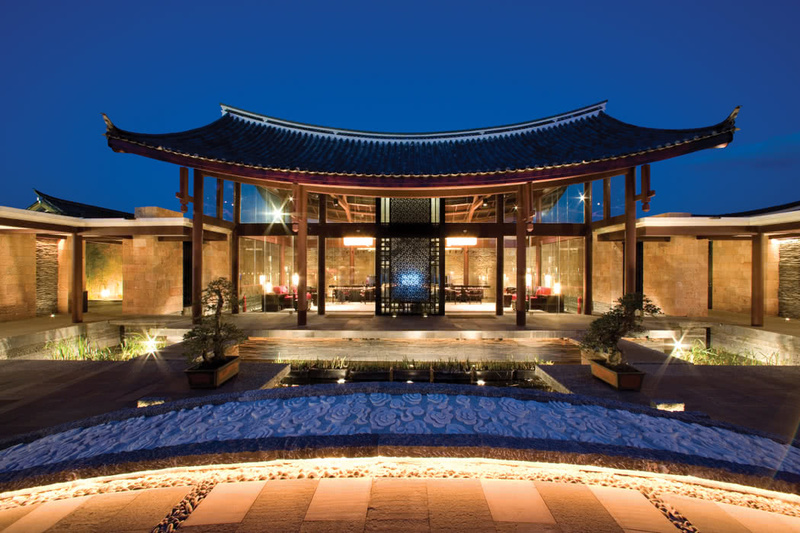 The resort lies 2,400 metres above sea level at the base of the epic Jade Dragon Snow Mountain. 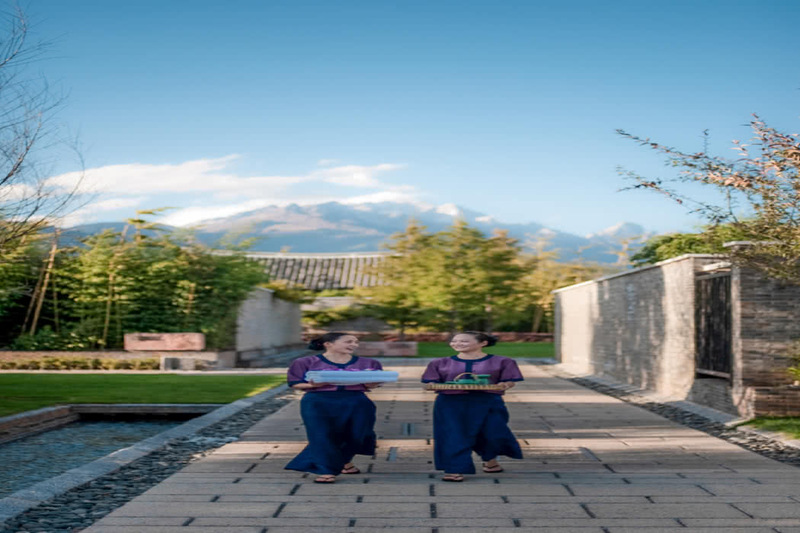 The hotel is located in the Gucheng District of Lijiang, P. R. China Not only are you perfectly situated to soak up everything Lijiang has to offer, but you have breath taking views of the Jade Dragon Snow Mountain. The city, which is located in the northwest part of China’s Yunnan province, is a UNESCO World Heritage Site packed with charming cobblestone streets, rickety wooden buildings and beautiful canals, your hotel lies close to Shuhe Old Town and Baisha Village. Explore the old town, shop for historical artefacts to take back home or explore the area on bicycle or horseback visiting local sights such as Tiger Leaping Gorge. 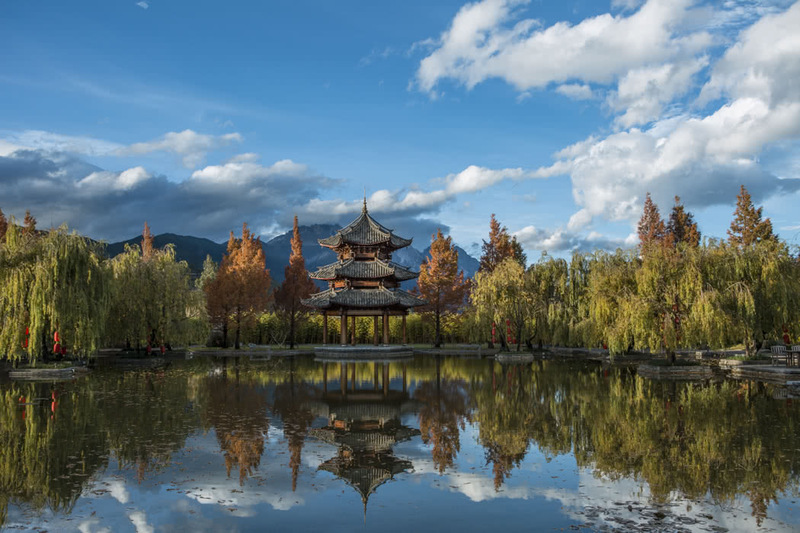 Lijiang has a moderate climate all year round with a rainy season that runs from May to October with July and August being the wettest. Autumn is probably the optimum time to visit. There are three international airports in Yunnan Province, Lijiang Sanyi International Airport, Kunming Changshui International Airport and Xishuangbanna Gasa International Airport. Visitors tend to fly into Kunming first and then transfer to Lijiang by air which only takes 45 minutes. 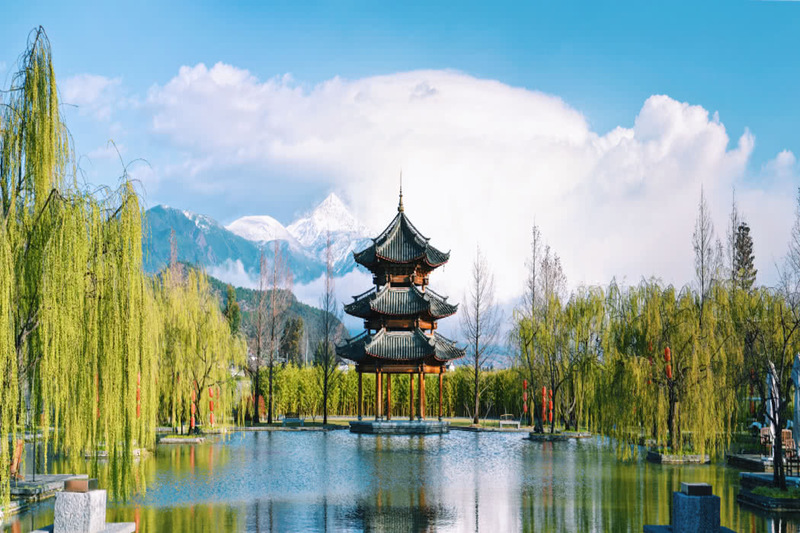 All the main cities in China, including Beijing, Shanghai, Chengdu, Chongqing, Guangzhou, Shenzhen, Nanjing and Hangzhou, are accessible from Lijiang Sanyi International Airport. Flights from the UK to Lijiang Sanyi International Airport tend to connect in Beijing, Shanghai, Guangzhou, Hong Kong or Bangkok. 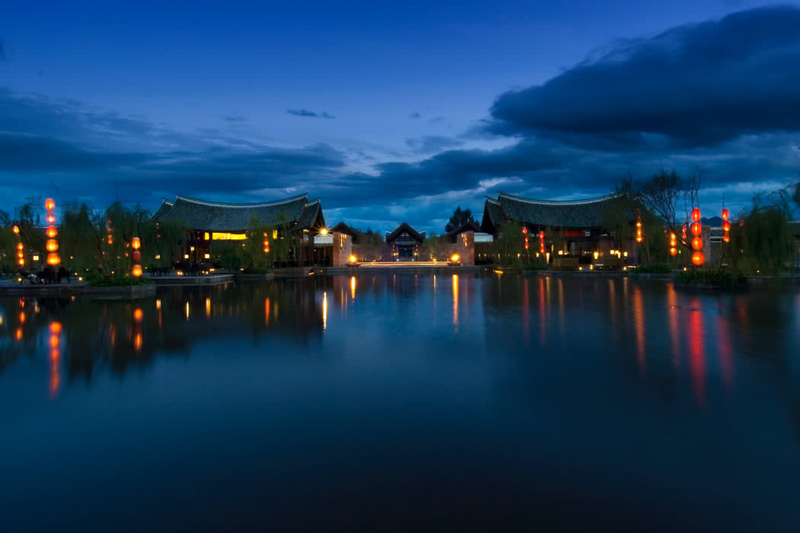 The hotel is then a 45 minute drive from Lijiang Sanyi International Airport. When you head back to your hotel after a wonderful day exploring this ancient area, there’s plenty to occupy you or relax you whichever you’re in most need of! Work out at the well-equipped fitness centre which will feel like you’re in the forest with the huge floor to ceiling windows giving you a motivating view. You can also rent bicycles if you’d rather actually be in nature and there’s also a hiking trail and outdoor tennis courts. The BanyanTree SPA has everything you need when you’re craving indulgence. There are seven treatment rooms and a yoga studio, or find some peace in the library. The staff are extremely friendly and helpful and speak excellent English. 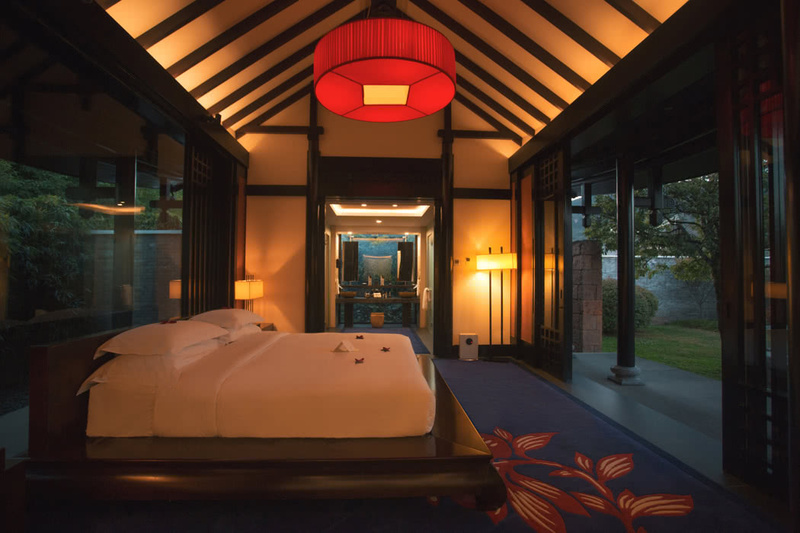 All the guest suites and villas are large, gorgeous spaces with beautiful, oriental décor and huge private bathrooms. The amenities are exactly what you would expect with luxury travel with some lovely extras like a pillow menu, international TV channels and separate living spaces in all rooms. You can opt for a mountain view from your private balcony, can upgrade to a jet pool or plunge pool and can opt for two or three bedrooms if you have a large party. Personally, I think upgrading to the Jet Pool Villas is an absolute must. Having your own gorgeous pool surrounded by a well-tended garden is quite special. If there’s more of you, the larger two or three bed Villas are ideal, but the Jet Pool Villa King is just perfect for couples. Your dining choices are nothing short of exceptional. 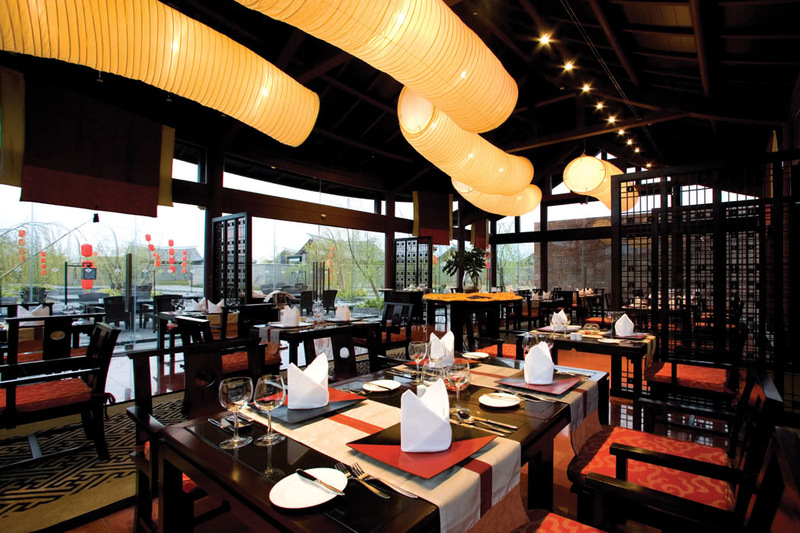 There are two restaurants, Bai Yun and Ming Yue serving the best of Chinese dining; Ming Yue focuses very much on locally influenced dishes as well as International cuisine. 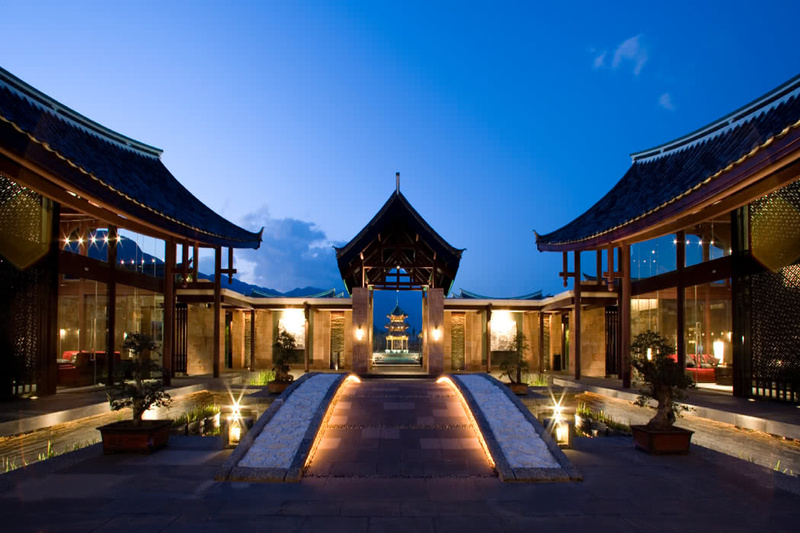 You can also, and simply must, partake in destination dining experiences; dining al fresco in a pagoda under the moonlight will make for an unforgettable meal. The charming Wen Hai Cocktail Bar is the place to go for afternoon tea and then return after dinner for a cocktail to make the perfect end to your day. We love this hotel because of the excellent location and the divine guest rooms.